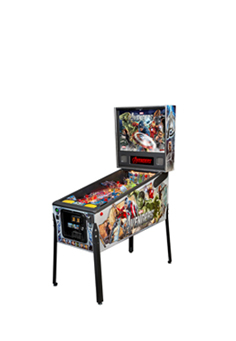 As their official UK and Republic of Ireland distributor, Pinball Heaven is delighted to announce that Jersey Jack Pinball has today released its eagerly anticipated Willy Wonka and the Chocolate Factory Pinball Machine. 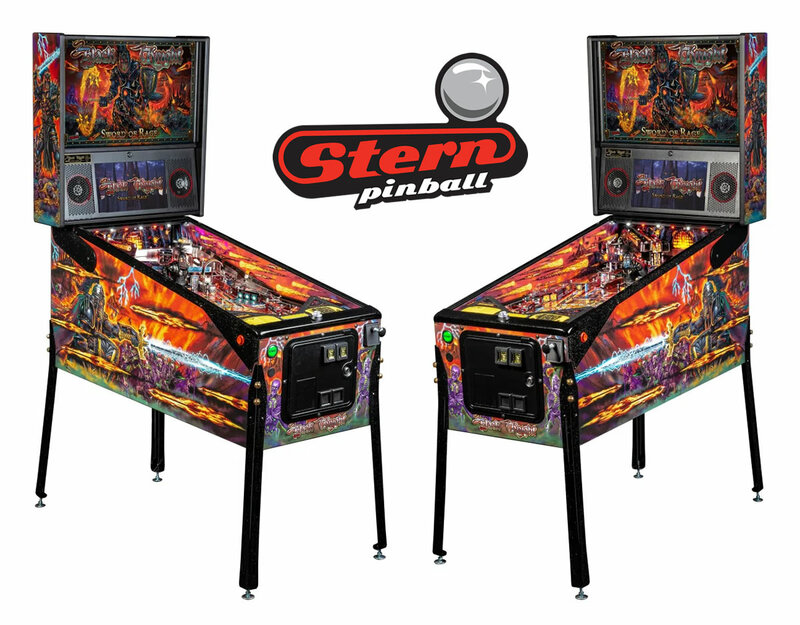 Announced by Jersey Jack at the 2019 Midwest Gaming Classic and heralded as “The Sweetest Game in Pinball”, this pinball masterpiece was designed by the legendary Pat Lawlor, designer of Dialed In!, Twilight Zone, and over a dozen other classic games, including the best-selling pinball machine in history, The Addams Family. Gameplay features four multiballs, collecting Wonka Bars, spelling Scrumdiddlyumptious, touring Wonka’s Factory, and a host of other goodies to lead you down the chocolate river to three wizard modes, including Pure Imagination. Scenes and dialogue from the original 1971 film directed by Mel Stuart, starring Gene Wilder, are also showcased in the Willy Wonka Pinball Machine, bringing this exciting theme to life. 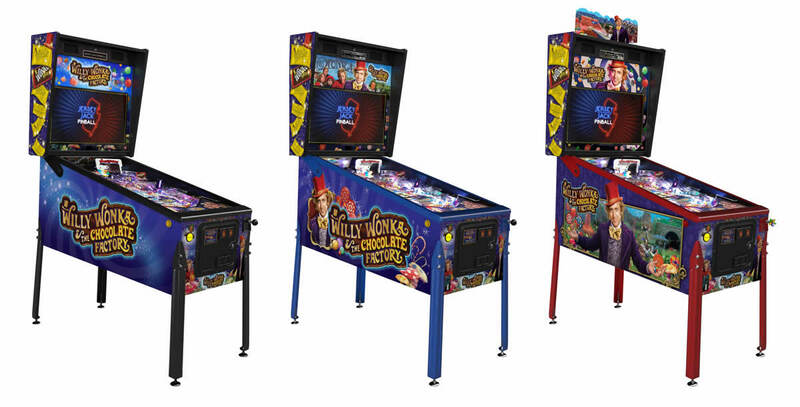 Available in Standard Edition, Limited Edition and Collector’s Edition, all Willy Wonka and the Chocolate Factory pinball include four flippers, six balls, a captive ball, seven magnets, the Everlasting Gobstopper, the Most Secret Machine, Oompa Loompa camera sculpture, 7” Wonkavision LCD, a 27” HD LCD screen with interactive 3D animations, and candy-coloured LED light shows. 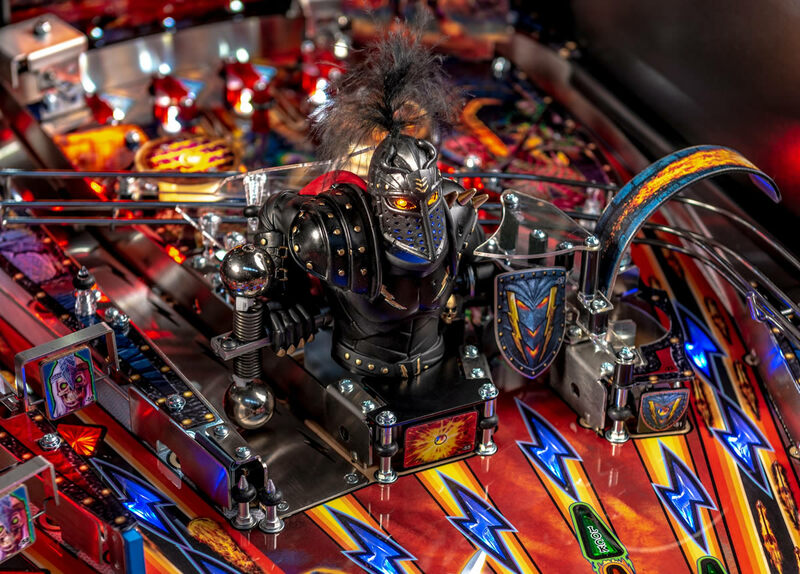 In addition, each edition of the Willy Wonker Pinball Machine boasts its own sweet features. 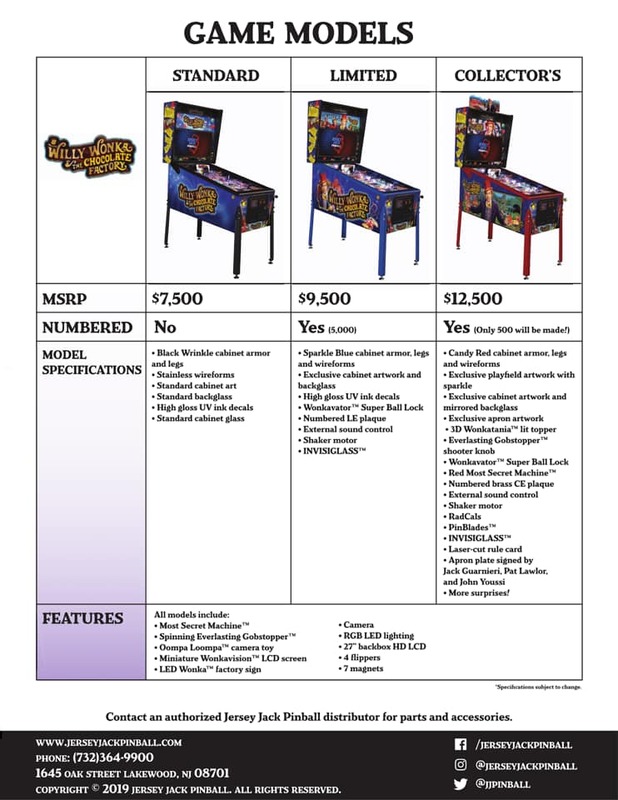 For more model information download the Willy Wonka and the Chocolate Factory Pinball Machine features matrix. 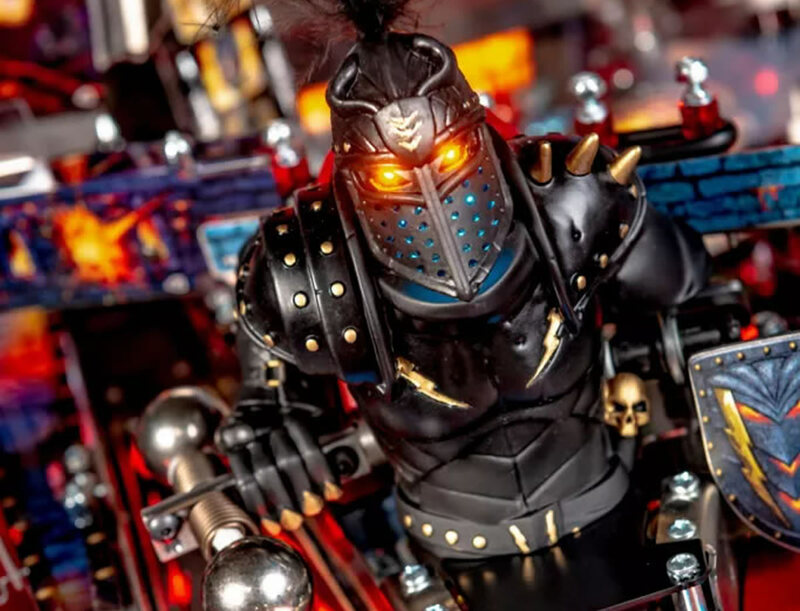 Please note that the Limited Edition Willy Wonker Pinball Machine is limited to a production run of just 5,000 numbered pinball machines and the Collector’s Edition Willy Wonker Pinball Machine is limited to a production run of just 500 numbered machines. 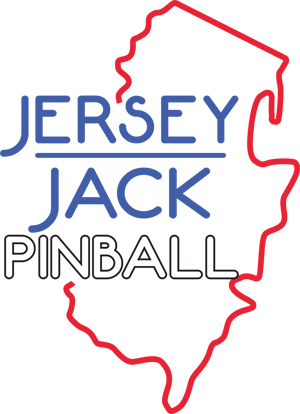 To enquire about Jersey Jack’s new Willy Wonka and the Chocolate Factory Pinball Machine direct from the official UK and Republic of Ireland distributor, or to place an order, contact Pinball Heaven today or visit our shop.